What is web 2.0? Many people, rightfully suspicious, ask about the meaning of this new buzzword. Is it a bubble or hype in the style of the "new economy" of the last century? Does anyone remember how dot.com turned into not.com practically overnight? Is this a similar rabbit hole, a place where billions of dollars potentially disappear without a trace? Or is it something truly new, something that will take root deep in the web, yet transcend its boundaries at the same time? That could be the right answer. Lets try it on for size: Web 2.0: the consumer has a new role. He is now a not-so-silent partner in a business relationship. 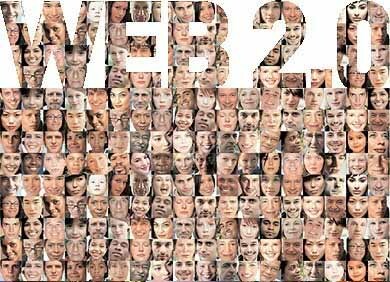 Web 2.0 is not merely a technological development that opens new opportunities, a new form of connectivity, for example. Rather, what has developed is a specific style how to interact with customers and data, a style that is significantly different from the early stages of the internet as mass media. Back then, in the early days of web 1.0, the roles were clearly delineated: companies used the web to offer information; users called up this information. The medium was organized along the logistics of transfer of goods: supply heredemand there: not in many ways different than the brick and mortar economy where every companys goal (still) is to become the number one supplier of goods and services. The favorite format of the old web was thus the portal, which, resembling a brick and mortar shopping center, bundled as many thematic offerings as possible. In the early years of web commerce, the goal was to become an online shopping center. With web 2.0, this paradigm is changing. While "portal" was the buzzword of the early internet, "platform" is the keyword for the second act. Web 2.0those are simple applications, giving users a platform, a framework they can use. The new style, which established itself in the past few years, also breaks with the old, ordered casting of producer on one side of the economic fence and consumer on the other. eBay is a good example for this new format. eBay is not selling directly (in fact, it insists on being called a "venue"); rather it offers its customers a place where they can become sellers. Although eBay offers a sort of safety net for transactions, in actuality, most transactions regulate themselves. This is the beauty of eBays feedback system. At the end of a transaction, both sidesseller and buyerleave public feedback on a variety of the transactions aspects. While in the world of brick and mortar transactions, the customer usually remains anonymous, in eBays world, the customer is publicly evaluated. Thus, in a manner of speaking, the customers of eBay take on the role of employees of a company. Not only that, eBay offers its customers a whole range of venues for expression, ranging from discussion boards about coins or purses to help with transactions gone bad. What is interesting in these forums is that very few actual eBay employees participate here; the content and answer providers are fellow eBayers. "I am so angry that I taking it right back to the store." "I cannot recommend this product to anyone." "I got it for $9 on closeout so can't really complain but wouldn't recommend it even at that price." "This product shoots scalding water from the steamer nozzle, not steam. Oh, it worked once or twice (and if you have three or four arms using it would be as easy as you'd anticipated)." "I am VERY disappointed with this product." The customer is not coaxed or persuaded or suckered; she is encouraged to do the research and exercise her own judgment. Amazon and EBay are primary examples how to create added value through transparency and participation. In this way, these companies represent the "new" web. Last.fm, a typical web 2.0 application founded by thirteen young Brits, translates this principle to the music business. If you add a piece of music to Last.fms player, you will subsequently receive similar stylistic offerings. The center of gravity in the new services of web 2.0 is individual knowledge, cross-linked and networked, thus resulting in ever new possibilities. The concept can be described simply: if four eyes can see more than two, then people together can achieve things that alone would be anywhere from difficult to impossible to handle. Instantly, the buzzword collective intelligence is bandied about, with everyone insisting that this time it is different, that this time it is not one of many nearly religious or cult-like transformations that came and went in the early years of the web. The web has become pragmatic. These are technological platforms which allow individual users to participatea lot, not so much, or not at all. Its been proven, however, that these platforms are being used extensively; to wit: the success of online wikis where users can share their knowledge about any topic from aardvark to zoology and make real-time edits. Web 2.0 is not new, but it describes in a word certain elements that can be unified under this term. This trend indicates participation, networking and at the same time more individuality. Everyone is allowed his frame, her area of influence which she can use, in short: a platform for content. And with content we reach the heart of the matter. ebay and Amazon are still exceptions in the web: they offer real goods that can be consumed in the real world. How, on the other hand, does content stack up? Blogs, photoservices, link collectionsall those new applications that bundle datais money to be made there? Is this the old hypeall sizzle without the accompanying steak, in other words, without any economic basis? Sales of content have always been difficult on the web; web 2.0 does not change anything in that respect. A user wants free content; rarely does she want to part with even a few cents. The problem with content is that costs are frontloaded; meaning costs occur when the first unit is made; afterwards every copy is free. Therefore nobody wants to pay. Yet attention (eyeballs) alone is not enough, and it certainly does not pay the rent. Just because blogs and photoservices are hyped as prime examples of web 2.0 does not mean they will become the new "Intel Inside." However, the existence of web 2.0, its very presence does create headaches and heartburn for some of the digital worlds premier players such as Microsoft. Realizing that licensing and marketing and protecting software can not be the only way to make money, Microsoft extended its business strategy and immediately found a new enemy: Google. This search engine giant, too, is web 2.0. Here, too, money is generated from content that does not originate with Google itself. Right from the start, Google was determined not to be a portal. While other search engines offered a visually busy and cluttered up, thematically organized page, Googles page is starkly different: empty, except for the search box and a few lines of text. Yet Google manages to make money with advertisingnot by way of pop-up windows, online banners or similarly annoying formats. Instead, the user will see low-key text messages which can be bought by the advertiser for relatively little money and which can be integrated into the search engines list of results. Googles method of success relies on context-related advertising (described by Google in the following manner: "When people search on Google using one of your keywords, your ad may appear next to the search results. Now you're advertising to an audience that's already interested in you"), and this method is something that Google has promoted beyond its own site. Everybody with content or wares to sell can integrate Google on his or her site and receives a small amount of "click-through" revenue when the ad is actually clicked by the user (as Google itself advertises on its site: "No matter what size business you run, you can display your ads on Google and our advertising network. Pay only if people click your ads"). Is it only small fries and small time operators? Maybe. But Googles method has penetrated the web through and through. In fact, Advertising Age predicted that Google and Yahoo will compete, in the near future, with revenue generate by the "big three": ABC, CBS, and NBC. This is a market with a tremendous future, and Microsoft is not likely to be denied access to it. With its software products, the company controls an empire which is similar in size to Googleswith one small drawback: as of right now, it can not combine the platform with content. Assistance for Microsoft comes in the way of the prime characteristic of web 2.0: the linking of contents via keywords, so-called tags. Tags are important because visibility in the web is not a given; therefore content tends to disappear among endless possibilities, hyperportals, links, jumps. During the reign of web 1.0, the solution was to create a catchy, neat (i.e. not too long) or even memorable internet address. This concern has virtually disappeared for content providers and programmers doing business in web 2.0 applications: now one operates on the basis of keywords/tags which are programmed during the uploading of blog-entries or pictures. These keywords/tags can be searched for and found via Google and specialized blog search-engines such as technorati.com. This development favors Microsoft because users, in ever increasing numbers, move toward understanding software as service. For Microsoft, this means that the company will have to find different forms of licensing and move into the service sector. Content will move into the foreground, and the distance between computer and internet (which, in web 1.0, was predicated on the idea of "web browser", i.e. a window into the web) will diminish. Negative Comments? No ProblemThey Can Work to Establish Trust! How does one market to blogs? It is not an easy task. Often entries are very personal and designed to broadcast a certain level of authenticity. Traditional advertising campaigns tend to flop miserably here. Transparency is the order of the day. Thus even negative comments can be positive for a product. Consumers today are savvy enough to understand the difference between trolling commentary (in net parlance a troll is someone who intentionally posts controversial or contrary messages in an online community with the intention of baiting users into an argumentative response) and authentic critique or praise. Especially corporate blogs have to walk the fine line between the platitudinous and the plausible. Merely publishing press releases on a corporate blog is a quick way to kill all credibility. Communications about products are read and believed by fewer and fewer people; after all, constant rain of marketing lingo has done much to immunize consumers against nearly all forms of marketing techniques. Therefore, even negative blog commentary by users can serve to underscore a companys dedication to responding quickly, positively, and especially effectively if a problem is brought to their attention. After all, customers like it when a company is actively concerned about its products. New and Improved: No, Really! The Consumer can Answer and Disagree! Problems? We Dont Need no Stinkin Problems! What could possibly cause problems in this brave new world of web 2.0? Arent connectivity, people power, interactivity, sharing, and collaboration good things? After all, Time Magazines Person of the Year 2007 was YOU! What is wrong with you? The problems with web 2.0 are manifold, but revolve mainly around two issues: ownership of content and information privacy. In order to understand the gravity of these issues and the potential fallout, lets step back and look at what web 2.0 aims to achieve: a global social net where business news, information, videos, and viral ads zoom through the people net and stick for a moment or two to a couple of eyeballs, hopefully, at every interesection before zooming on to the next knot in the matrix. The global supernet is being built, with Google and Microsoft tinckering with the global social platforms of the future, and therefore with a wholly new form of marketingin the future, your friends and contacts on the web will form the basis of the marketing platform of the superweb. Microsoft, never one to sleep through a new development, recently bid 500 million dollars for a five percent interest in Facebook. This is possibly a very good investment, considering that every time a Facebook user makes an addition to his particular slice of the platform, all his contacts are informed of this change. When a Facebook user adds an application, sponsored by Red Bull, of stone-paper-scissors, this piece of information is transmitted to everyone on that users contact list. If one adds the possiblility that so-called profile-pages can be mined for user-specific information and thus directly-related marketing, one can realize that Facebooks estimated three percent weekly user growth, opens immense possiblities. No wonder that voices in the web 2.0 world are calling for a global graph of all social networks, a system, in other words, that collects and connects the social graphs/connections of all other networks in one giant metanet, open to all: a true open source. Users are told that this will bring benefits in terms of not having to register for each social network because the metanet will recognize them and transfer all their contacts from other sites into one convenient place. One such place is fuser.com. It advertises itself as "the coolest way to unify your mail from multiple accounts. View your mail and social networking messages in one convenient location. It's easy and secure." Certainly, this offers an integrated, easy experience for a multi-tasking, multi-netting user, if developers keep their promise of keeping data and information private and secure. For marketing gurus, however, the advent of this new supernet, this completely new connected platform, is a dream come true: a net where each amazon.com item bought, each song downloaded at i-tunes, each plane ticket purchased at Orbitz is connected, connectable, and, best of all, available for immediate transmittal to all contacts on the users list of contacts. Is ease of use worth total, global transparency? In the past, citizens have worried, at times louder than at others, that information technology has created unprecedented opportunities for government and private industry to collect, organize, and share information on individuals. Yet to many the danger seems remote and diffused: a few extra pieces of targeted junk mail, another telemarketer calling in the evening, another on-line form to fill out. Why fear the modern electronic information market? After all, no totalitarian Big Brother with hobnailed boot lurks in our homes; no one stares back from our televisions. The danger seems subtle, difficult to grasp. Yet it makes us uneasy. Nothing, however, connected with web 2.0 is designed to make consumers feel anything but at ease, coddled, and catered to. Notice the extra friendly fonts, the cute, cuddly names. Could that lullaby of safety, ease and you-centeredness be a siren song, luring consumers into total information awareness? Notice the growth of "I"-report platforms at all so-called main-stream-media outlets. CNN, Fox, CBS, NBC, ABCthey all want YOU to provide the pictures, the words, the moving images. If you have them, upload them. The more YOU do, the less WE have to do. Consumer-generated content has been a growing buzz-word among marketers in the last year. While Converse and Sony have both aired user creations on TV, the majority of consumer-generated content has been shown online. Dove and Frito-Lay are two more recent companies that encourage user-generated advertising. Recognizing a trend and getting consumers involved with its products in wholly novel fashion, Frito-Lay has moved into the consumer-generated content space in a big way, and its main focus is on television. The Pepsi division solicited ad entries from users, through a contest on Yahoo, for a Doritos ad, and the winning ad was run during the 2008 Super Bowl. Said adironically, perhapsfeatured a mousetrap and a giant rodent. Thus encouraged, we all turn our cellphones and I-phones to interesting scenes, upload them the YouTube, and hope to become an overnight celebrity. "Dont tase me, bro!" In addition to the thousands of surveillance cameras in all public spots on every possible square foot of earth (and dont forget Google Earth! ), the ubiquity of personal scene-taking-making-recording devices can be witnessed by the growth of video uploads at YouTube. I tube, you tube, we all scream for MY tube. The issue of information privacy and the potential terminal connection to something very much like Jeremy Bentham's model penitentiary, the "Panopticon", will become a pressing issue to discuss with great urgency as electronic data gathering travels and enters into our lives under the guise of ease of consumption. Individuals under an uncertain but invisible panoptic gaze exhibit a kind of anticipatory conformity with the rules, which becomes eventually internalized. Consider also that in the near future, nearly all merchandise will be equipped with Radio Frequency Identification (RFID) tracking so that every purchase you make emits a radio frequency from the store shelf, to your home, to the landfill. We want to consume, and if we have to offer ourselves up to the marketers in order to have our needs fulfilled, so be it, no? Or are we entering a tremendous clockwork, composed of ever smaller, ever more subtly 'adapted' gears, gears naturally adapted to our "meet our needs"  created and otherwise  but gears that will, nonetheless, one day grind us into finely consumable bits and bytes? Happy meals for all. The other problem involving web 2.0 is that of ownership of content. In web 1.0, a small number of paid writers created web pages for a large number of readers. As a result, people got their information by going directly to the source: Adobe.com for graphic design issues, Microsoft.com for Windows issues, and CNN.com for news. Over time, however, more and more people started writing content in addition to reading it. This had the effect that there was too much information to keep up with. We simply do not have enough time for everyone who wants our attention, and visiting all sites with relevant content is not possible. Web design and marketing during web 1.0 was all about building compelling places (or sites) on the Web. But content can no longer be contained in a single placeat least not without going against the nature of the social web and locking up content in a secure, firewalled, and password-protected, for-pay site. Experience has shown that sites that charge for content rarely do well and quickly abandon the scheme. Web 2.0 then is about building event-driven experiences, rather than sites. And it is no coincidence that Really Simple Syndication (RSS) is one of the key building blocks. RSS feeds enable people to subscribe to content and read it in an aggregator any time, without extraneous design. Because content flows across the Web in RSS feeds and can be remixed along the way, marketers and designers must now think beyond sites and figure out how to brand the content itself. As a result of the remixing aspects of web 2.0, most content will be first encountered away from the domain in which it lies. In terms of copyright and ownerships issues, a sort of Pandoras box has been opened. After all, critical voices have called web 2.0 participation of all without any guiding authority or adherence to role--a type of chaos theory in action. Anybody who can type and who has access to the web, can participate: as reader, producer, buyer, seller, player, gangster. Ownership relevant to web 2.0 processes, problems or solutions does not rest with the individual but with the group; therefore, power relations are fundamentally changed. Marxist theorists wax misty-eyed nostalgic in terms of methods of production (of communication or knowledge) not being allowed only to the "haves", but to nearly everybody. The social net as socialist paradise, so to speakand the 100 dollar laptop for every child. But before we get too comfortable, join hands, and sway ecstatically to "Ode to Joy", lets remember that Blogs, Wikis, RSS-Feed, Mashups, Tagging, Folksonomy or even the Semantic Web are merely the underlying technologiesdata wants to be free is old web 1.0 news, after alland not a true philosophy of sharing. If you believe otherwise, you should realize that web 2.0 is being sold, right now, right here, as the next big thing to turn passive consumers into active ones--ones that build, for free, what they will buy back, later, with time, money, energy. The new business model is really the old business modelmeet the new boss; the same as the old one: while mainstream media still cry crocodile tears over the blogospheres competition, and where some people believe that the new world is a world in which "the former audience", not a few people in a back room, decides what's important, the "old" people in the back room have long figured out what tempts this particular bear to dance: the illusion of ownership, control, and lack of manipulation. Make no mistake, there is a race on for market share, and the winner will be the company that first reaches critical mass via user aggregation and turns that aggregated data into a system service: the mousetrap snaps shut.